View basket “Asrock AB350 GAMING-ITX/AC, AMD B350, AM4, Mini ITX, 2 DDR4, Wi-Fi, 2 HDMI, RGB Lighting” has been added to your basket. Everything starts with mother. Your computer is no different. 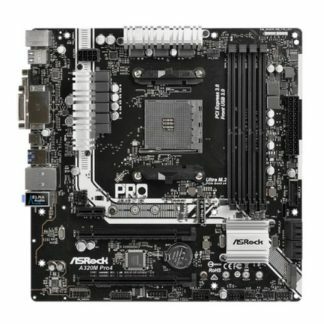 Motherboards is probably our biggest category of products, and it’s the place to spend some time browsing! All items can be with you next business day, as standard, if you order before 5pm. Shipping is flat fee £6. Premium options exist – check them in your cart page.